UTactic is a team of the Ukrainian professionals in design, production and usage of tactical apparel and gear. 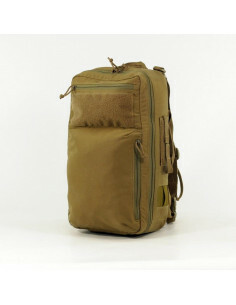 Our product range includes tactical apparel, tactical gear, belts (including warbelts, pouches, sniping accessories, tactical backpacks, bags, medical equipment, K9 products, accessories. Each product, whether that be a tactical backpack or a small accessory, takes a long way from the design phase to the official launch. Behind each product stands the work of designers, cutters, seamers, and testers who test tactical gear under the real-life conditions. We do not stop working on a product after its launch - we accurately study feedback from our customers and release new improved product modifications. 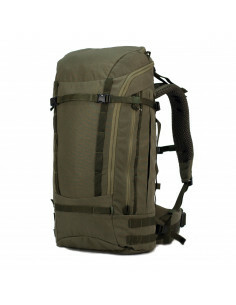 With our work we prove that Ukrainian tactical gear can compete with international brands. All products represented in our tactical gear store are made of high-quality technology-savvy materials, including Polartec, Cordura, Coolmax, 2M, Duraflex etc. We do not tolerate compromises with quality! We constantly keep improving ourselves - we are looking for new solutions in design of tactical gear and apparel. UTactic products are appreciated not only by aficionados of sniping, airsoft, survival, tourism and hunting. Our tactical gear is successfully used in military sphere. We keep in touch with our customers, most of whom have become our partners and friends.